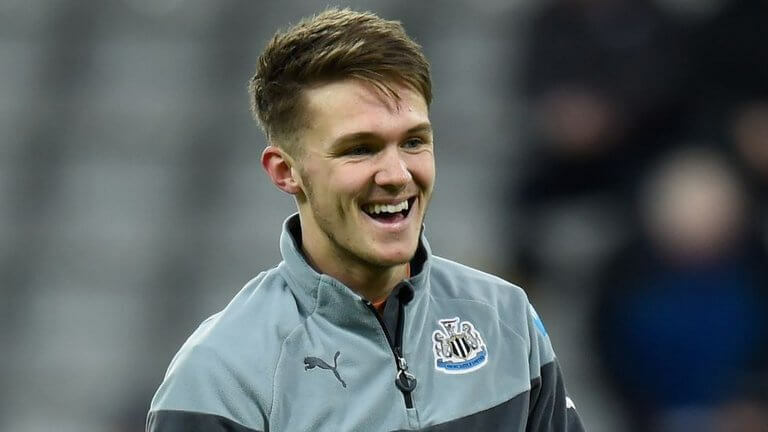 Freddie Woodman went on loan to Aberdeen on the final day of the January transfer window and he so far played 5 times for the Scottish Premiership club. Freddie wanted to go on loan last August, but he was the third Newcastle goalkeeper after Rafa had been unable to sign an experienced goalkeeper in the summer. Only when Newcastle brought in Martin Dubravka was Freddie allowed to go out on loan by Rafa. Freddie is very ambitious, and he is keen to break through into the first team at Newcastle as soon as possible. But maybe he can go out on loan for the full season next term so he can get more first team games probably to a Championship club. That’s unless Newcastle lose Rob Elliot or Karl Darlow in the summer and that would again restrict Freddie’ first team games on loan. Woodman made his Newcastle debut this season when he was in goal for our win at home to Luton Town in the League Cup. It seems to us the best thing for Freddie is a full season out on loam if Rafa can keep three senior goalkeepers at Newcastle for next term. But maybe Freddie thinks he will be ready to challenge for a first-team place next season? That wouldn’t surprise us – he’s an excellent young goalkeeper. To be fair to the Ron Knee, football has now evolved beyond Wenger, and from some of his recent interviews, I suspect even he knows that. Sort of reminds me of when an awful lot of our fans turned sour against Bobby Robson because we lost a few games in a row. Woodman needs to be loaned out for a couple more seasons for experience. Then see what his future holds. On the Southampton game I’m expecting a low score draw or a narrow defeat, there’s no cutting edge in our squad so we’ll have our usual 30/40 minutes where we need to score before it’s backs to the wall fighting to hold on. I know other people have been saying there’s something wrong with the blog page layout but I presumed it was on phones and tablets. But I’m seeing the side columns overlaying the comments making them difficult to read. Aah, that’s better, thank you. If the rumours are correct re. Cassilas and we do keep Dubkrava then Woodman goes even further down the pecking order. Probably why Woolston is being let go (sacked). I wouldn’t be surprised if Elliot isn’t sold off as well. How do you suppose we loan Woodman out IF we don’t get another keeper? Comments like that just prove that posters on here will disagree with everything and anything Rafa tries to do. 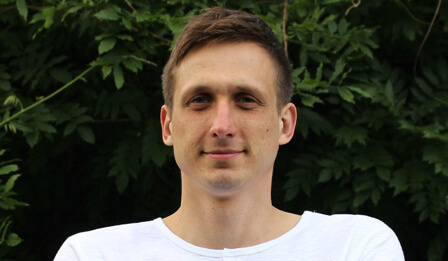 Kacper…I think that last update you made was somewhat counter productive. At least on this computer. Yes Kacper there are still too many numbnuts popping up on these pages 🙂 see if you can code them out will you? Oops the blog’s gone awry again. Columns overlapping. If we stay up this season we can thank Joselu for scoring as his contribution can we? That’s your logic? We can thank mitrovic for promotion because his goals, few that they were, were pivotal? Right. Where’s Tsunki gone, Kacpar you haven’t have you? Looks like Jonjo is training, hope he’s fit for Saturday! Is that Borini, he seems to be doing OK with them. Once you get past comment 11 the side columns aren’t obfuscating the comments. Probably a good time to go for a continuous comment record, or I could return tom the real world. Real world it is then. I’ll go and help the missus with her jigsaw. Probably get me some kudos with her!! Better than the Toby carvery meal we had on Tuesday, don’t know why we go to Carvery’s haven’t found one that sells edible food yet. Who would be a web designer? Little appreciation. But much whingeing. While we’re all over the moon Rafa came to Newcastle, and long may it last. I’m a little baffled by you, you get very upset about the slightest comment that undermines or disagrees with anything Rafa does. When he’s ready marra he’ll go, he’ll not think Jail wants me to stay so I’ll stay. He’s a great manager struggling but doing the best he can with the the players he has. He has his own style not to everyone’s taste but it’s his style. He makes decisions like us all ,which we all don’t agree with occasionally. We all know MA has let him down. Just don’t let a comment you here about Rafa upset you. Everyonehas an opinion wrong and right depending on your views. No toon kk I don’t. I get annoyed by people that just whine for the sake of whining. You were moaning that we didn’t need a new keeper. Now you are saying that Woodman needs to go on loan. How did you propose we sent him out on loan without signing a new keeper? Just watched the u23s highlights in the cup game against Sunderland and was a bit baffled as to where all of the noise was coming from as the seat that could be seen were all empty. As a matter of interest this is the team plus the bench for the night. Most of whom are on the out of the door list. Newcastle United Under-23s: Paul Woolston; Craig Spooner (Yasin Ben El-Mhanni 81), Michael Newberry, Curtis Good, Josef Yarney; Jack Hunter, Mo Sangare; Victor Fernandez, Mackenzie Heaney (Owen Gallacher 71), Callum Roberts (Callum Smith 105); Luke Charman. Subs not used: Otto Huuhtanen, Ben Kitchen, Stefan O’Connor, Tyrique Bartlett. Just for comparison these are the players being released. The latest news is that Tom Heardman, Ben Kitchen, Curtis Good, Stuart Findlay, Michael Newberry, Jack Hunter, Kyle Cameron, and Paul Woolston have all been released. So 5 of them anyway. My point of not needing a new goalkeeper was based on money available, without loan signings being brought into the equation. A striker was a priority imo. Elliott is a good keeper imo. At this moment in time Woodman would benefit from regular first team match time, that’s my point, so being sent on loan would give him experience. Would it not? Have you ever thought about how much you winge at other posters?? Thought not. Cal Roberts and Mo Sangare, who everyone is raving about, have been retained. Yasin Ben El-Mhanni, Victor Fernandez and Mackenzie Heaney are OK. Aren’t these the best of our young lads? Woodman needs experience and he’s getting that in Scotland. Look at big Fraser, he cut his teeth up there and he was a top keeper until late. We are favourites to sign casillas too, he’s way past it imo, has been for a while too! Sangare is only early promise I believe, hasn’t been playing 11-a-side for very long but physically impressive… Hope he does make it, a box to box beast in the making by the sound of things! I suppose when you have a closer look at the list, there aren’t that many being released, no team keeps all of it’s youngsters on the books and releasing them gives them a chance to find another club. The two I’m surprised about are Findlay and Heardman. Hopefully the ones you have mentioned do have a good future with us, we’ll have to wait and see. I’d also hope and expect the club to try and find new clubs for the released players, don’t know if they do that though!